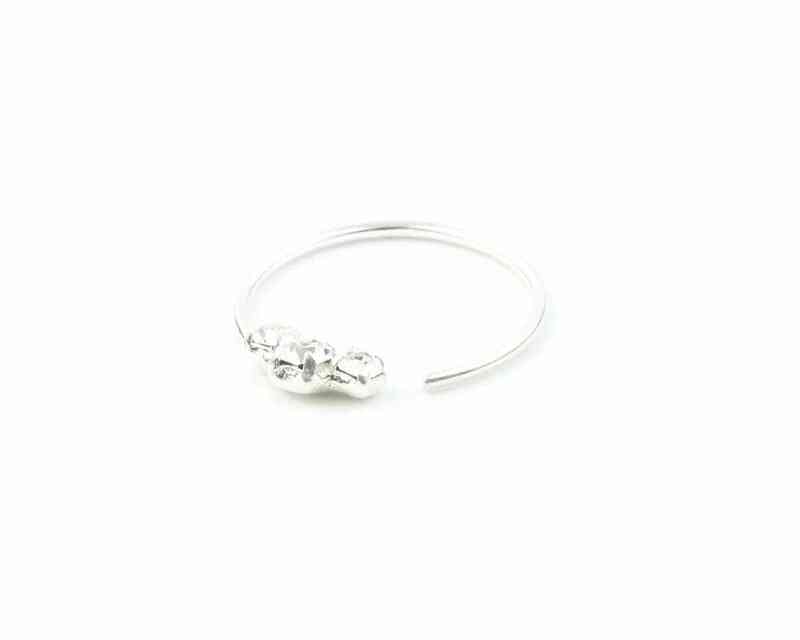 Sterling silver nose hoop with sparkling 3 stone detail. I have now bought 4 of these pieces, and it's my favorite to wear! Dainty, shiny, and fun! The seller shipped another one immediately when the first one I got broke. Very satisfied with the product and the service. Def recommend to others.